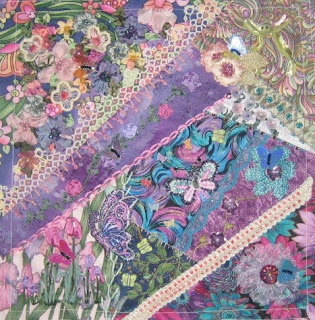 I've been trying to upload these pictures within the yahoo group but they keep coming up as little red x's so I'll post here and let the girls know where the pics are to take a look at Mary's now complete CQ block from my first RR FFT#13. Here is the complete block. And here is a close up of the work I did. 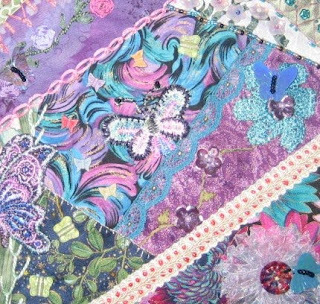 Along with this several of my butterflies in my stash came out to play in the pretty flowers and alighted onto Mary's block. I sure hope she likes butterflies!